This is a rather lovely vintage jewelry set. 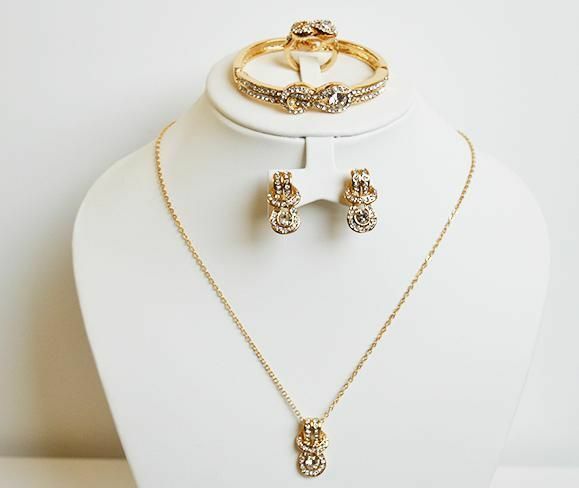 Made by 18k gold plating and matching earring, ring and Bracelet set in the shape of Knot. The Pendant measures about 2.3 cm. A really stunning set.